⬅ Skull & Shackles #5: Storm-Lashed! River Gate is a bit of a misnomer—there is no actual gate at River Gate. Instead, a pair of squat watch towers commands the Svart’s course were it begins to widen before flowing into Hard Bay. Each of these watchtowers is heavily fortified and topped by ballistae capable of sweeping the river. Each tower also boasts a small dock from where the garrison can intercept any vessels entering the city. Unless they are bored, or the day is slow, the men-at-arms don’t usually bother with small craft—rowing boats and the like—and only meet vessels obviously bringing trade goods into the city. While vessels entering the city are subject to pay a toll, those leaving are free—literally and metaphorically—to do so. River traffic is light as the Svart is not navigable by ocean-going ships vessels beyond a few miles south of the city. Thus, those after an easy time seek out a posting to River Gate. Irina Ahokas (NG female human) Irina has a small hut near the Svart’s south bank and, for a small fee, will transport individuals across the river. She is honest and does not get involved with dodgy folk. Her husband is dead, and she is raising two young teenage boys—Ossi and Uljas—on her own; consequently her nerves are often fraught, and she is perpetually in debt—her children are eating her out of house and home! Revv Naviv (N old male human thief 1) This beggar is more than a little mad. He hangs around the southern tower and mutters about the “Thing in the Water”. A month ago he swears he saw a giant glistening tentacle briefly emerge from the waters to pull down an angler. No-one else saw the attack—it was nighttime —and no-one believes his tale. Still, a fisherman is missing, and parts of his shattered boat have turned up on the muddy river bank at low tide. A fisherman shouts and waves energetically from his boat in the middle of the Svart. He has snagged a badly decomposed body while fishing. The body does not look human—in fact it has scales and a fin-like protrusion growing from its head! The guards in the north tower are bored and feeling mischievous. When they see the party’s boat approaching, they set sail to intercept. When they reach the party’s boat, they try to levy all sorts of impromptu levies and tolls. They don’t push the issue if the PCs seem to have rumbled their scam. 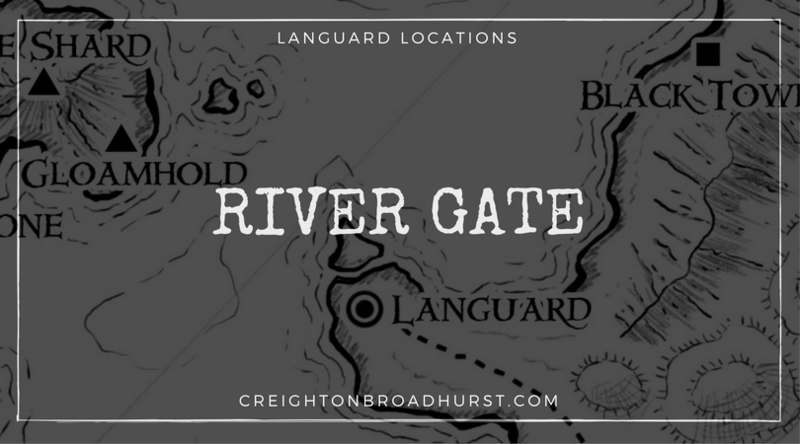 Languard is the capital city of Ashlar and closest settlement of note to Gloamhold’s benighted halls. 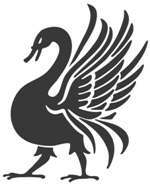 This article is a first look at the location, which will appear in its final form in Town Backdrop: Languard which will be published by Raging Swan Press in early 2018.